Apartment in Conil de la Frontera, located near its beautiful coves, 5 minutes by car from Roche, between pine groves and sea and a few minutes from the village. 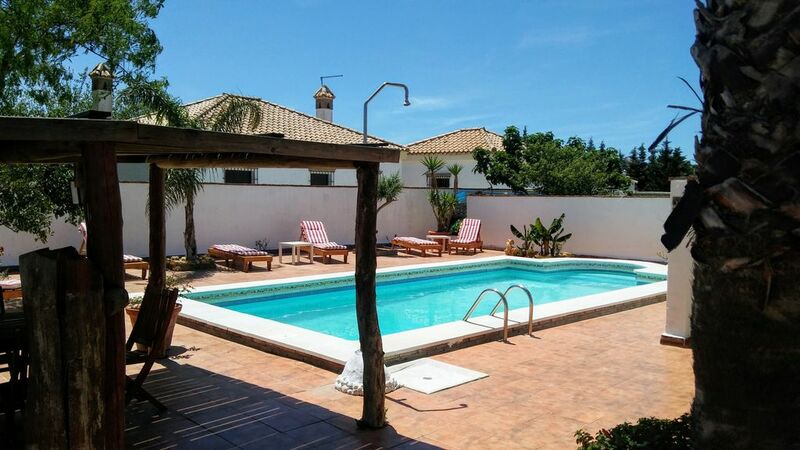 This accommodation is the perfect place to rest during your holiday in Conil as it is in a very quiet area. The apartment is new, a bedroom with double bed, equipped kitchen and bathroom. It has as common areas, patio, barbecue, swimming pool and sun loungers. The apartment is located on the first floor. Children up to 12 years old can stay for free on the sofa bed, but this apartment is not recommended for very small children as access is via a very steep spiral staircase.